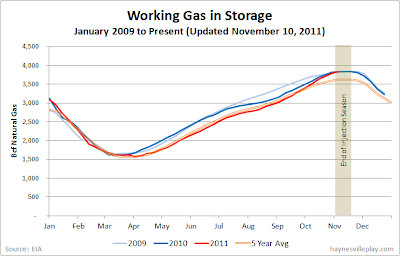 The weekly EIA working gas in storage report showed a 37 Bcf increase, bringing the total gas in storage to 3.831 Tcf. That figure is only 9 Bcf below the all-time record set last year at this time. The weekly injection was 42% greater than last year and 61% above the five year average. 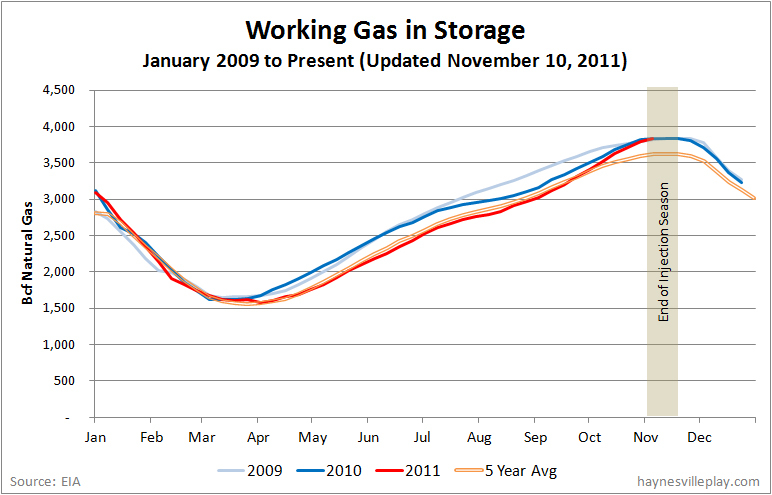 The current storage level is only 6 Bcf below last year and 215 Bcf above the five year average. Temperatures last week averaged 2.1 degrees cooler than average and 2.3 degrees cooler than last year.